In a heavily male dominated field like surgery, women mentors don’t abound. Yet this group is showing that together women can support each other take on any challenges they might face. 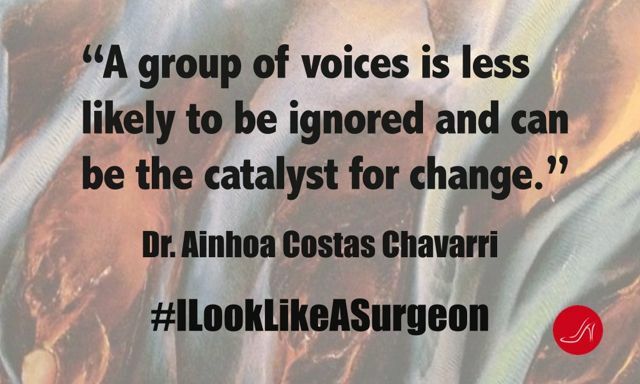 Always interested in women mentors and role models in fields where women are substantially underrepresented, I was excited to discover #ILookLikeASurgeon on Twitter. 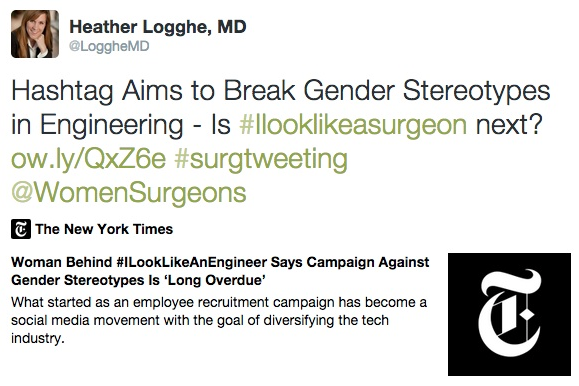 A movement of women ready to prove that surgeons come in all sizes, shapes and genders, they are fashioned after the #ILookLikeAnEngineer movement which seeks a more diverse and inclusive work environment for women in engineering. 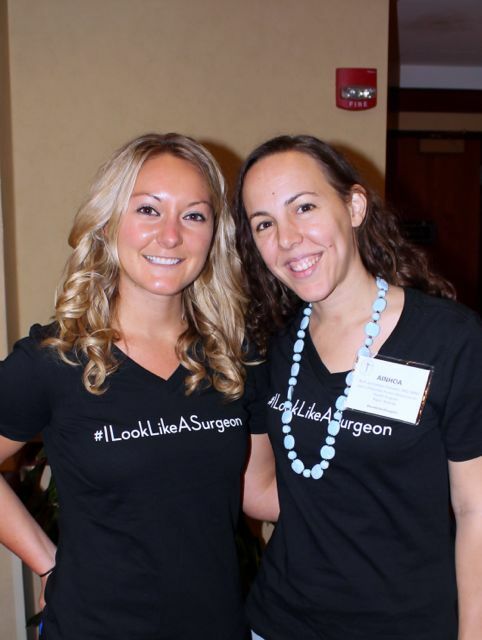 Once Heather Logghe sent out the initial tweet on August 5, 2015 proposing the hashtag #ILookLikeASurgeon, an informal team emerged to champion tweets, blog posts and conversations, right away. The initial team included Kathryn Hughes, Paula Ferrada, Ainoha Costas and Marissa Boeck. All surgeons ready to become women mentors and role models to women and girls around the world. There have been over 55,000 tweets by 10,000 participants since that initial tweet. (Source: Symplur.com) Together they are changing the face (and the feet, I should add!) of surgeons around the world. What follows is a must-read interview with most of the initial team. (Women mentors by default!) You’ll find a brief bio for each of these surgeons as well as their Twitter handles at the end of this post. Do you function as a group of women mentors? 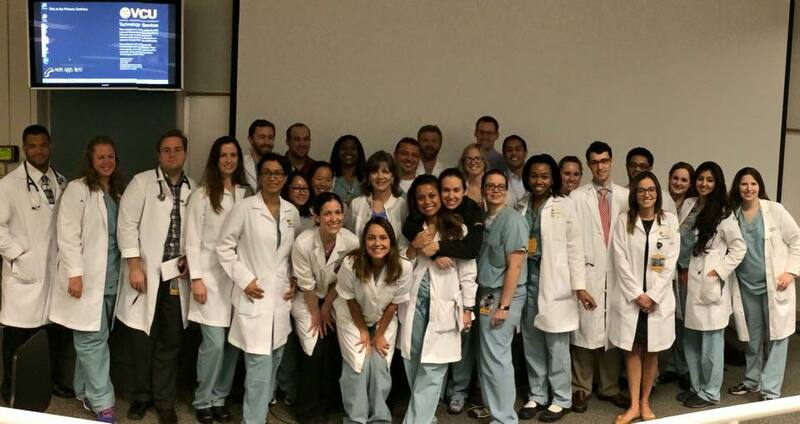 Paula Ferrada (PF): #ILookLikeASurgeon started as a tweet and became a community of women helping each other, a forum of men and women that recognize gender disparity as an issue and wanted to be part of the difference. As a consequence, many organizations have supported these efforts. The main champions being the Association for Women Surgeons (AWS) and the American College of Surgeons (ACS). The involvement of these organizations created some influence in increasing possibilities of mentoring and networking. In fact many very well known women mentors, innovators and women leader surgeons joined! This was very inspiring for resident students and for all of us young surgeons in training. The movement was broadcasted at the last AWS conference, resulting on a New England Journal of Medicine forum, and was included in the ACS women in surgery committee interviews. Since the first tweet, the movement has been international, with a strong following in Ireland, England, Australia and articles in German, French, and Spanish. 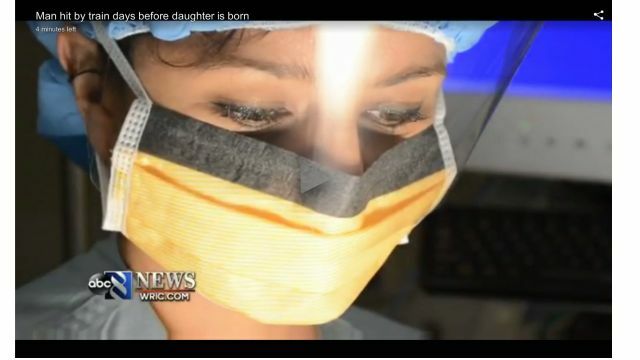 In November, a panel of women surgeons was broadcasted live in Bolivia. 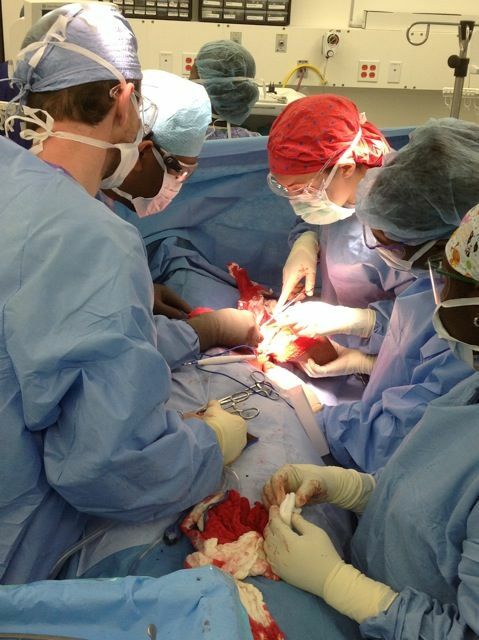 Many of the tweets are highlighted by the newly organized Women in Surgery Africa organization. We believe that by opening a space and encouraging our voice, starting discussions not only pertinent to gender disparity but other disparities in surgery and in medicine, we have started at least asking the thought questions. A huge part of changing culture starts with believing we are deserving of a better environment. The medical field is notoriously male-dominated and the surgical specialties even more so. Did you have women mentors and role models growing up? PF: I have been very fortunate in having women mentors and man mentors. I have mentors for every part of my life too. Mentors that help me academically, mentors for research, mentors that keep me grounded and balanced. I believe mentoring is multidirectional. It is very rare that a mentor will come to you and offer help out of the blue, but most of accomplished professionals will not deny help when asked. In occasions when I have found myself in difficult situations or when I want an opportunity and I can’t find my way to get it, I seek help, call friends, make connections with professionals around me. Many of these connections have grown into amazing relationships that have lasted years. Reaching out to other women in your field can make it harder to be ignored. Ainhoa Costas (AC): I actually never had women mentors or men mentors, until the last couple of years. I have, though, had an amazing role model in my mother, who I admire and always look to for advice. I have also met several people over the years, not necessarily in medicine, who have impressed me with their approach to life and work. I try to find the best characteristics in them and use them as a model for myself. Heather Logghe (HL): I grew up on a dairy farm in Wisconsin with very few role models with professional degrees. I was introduced to a male surgeon by a teacher in high school and he was actually the only surgeon I had the opportunity to personally speak with until I attended medical school. I think that having more mentors with college degrees and particularly in the field of medicine would have helped me feel more comfortable in my own skin professionally and prevented some of the challenges of “impostor syndrome” I have worked consciously to overcome. Marisa Boeck (MB): Throughout my life I’ve had a mixture of both male and female role models across a variety of disciplines. Mentors have definitely been harder to come by, until recently. On beginning general surgical residency, the gender imbalance, especially in leadership roles, was difficult to ignore. Yet I’ve never felt gender has dictated whether I look up to or want to emulate someone. I have found women and men alike who have provided examples of what kind of physician, surgeon, teacher, mentor, and person I do (and also do not) want to become. As surgeons, what are some of the biggest challenges you faced along your career and which ones do you continue to face? PF: Finding a balance for me is more like a tilt; an all or nothing approach. The most challenging aspect of my career has been learning to know myself, understanding what makes me truly happy; and going for it. Not what makes my boss happy, or what others expect of me. Rather what fills my heart with passion, my mission. In other words, learning to say no to projects that do not interest me and going full force with tasks that I am passionate about. Personally, the most challenging thing is scarce time with my family. It took me a while not to feel guilty when leaving my son at home. I understand now, this time allows for quality time with his father, and developing my career helps me feel complete, happy with whom I am, so I can be better for myself and my family. AC: Although there is still a lot of sexism in medicine, I was lucky to have trained in a surgical residency that had a high percentage of women and therefore this was not a problem. It is only now that I work in low resource settings like Haiti or Africa that I realize how far behind other countries still are in terms of gender equality. 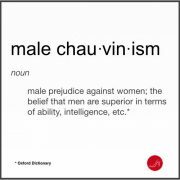 Having grown up in Puerto Rico, with a culture of machismo, this is not a challenge, just something you unfortunately are used to and know how to deal with. I would say my biggest challenge has been not fitting into the expectations of what a typical surgeon is supposed to look and act like. And by this I mean more in terms of personality and attitude. I consider myself a calm, quiet, friendly person and have found my career choice questioned by people who don’t realize that surgeons can come in all shapes and sizes and don’t have to fit a particular mold. While their questioning in the past led me to have moments of doubt, in the end it only served to reinforce my belief in myself and my own style of practice. HL: Having children during residency, I have faced challenges with family planning and securing a position for residency training. Overall, I have been exceedingly happy with the choices I have made and opportunities that I have had, yet taking the “road less traveled” has a lot of uncertainty that is not always comfortable. These surgeons wouldn’t change their careers for the world. 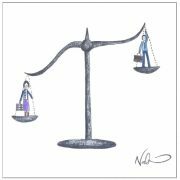 As they know the road is still tough for women surgeons, they support each other on a daily basis. MB: As a surgeon-in-training, I know many challenges await on the path ahead. However I believe one that will persist is time, or more appropriately a lack of it. There never seems to be enough hours in the day, with self-care, be it sleep, healthy eating, exercise, family, a social life, or other interests, getting pushed aside by seemingly more important professional activities. However numerous studies continue to show the error of these ways, with a quote I love from the New York Times Well Blog stating the “Paradox of self-care: The more energy you give to caring for yourself, the more energy you have for everything else.” In essence, both professional and personal activities warrant our attention to make us complete. Another challenge has been my delay in recognizing and fully taking advantage of the value of mentorship. Women mentors and men mentors serve an essential role in professional development that cannot be overstated. I think this is something medicine and surgery can and should do better. To encourage trainees and practicing physicians alike to “collect mentors.” There are many types and each offers something unique that, when combined, help a career take flight. No one should feel she or he needs to go at it alone. Which is why I love the hashtag #LiftAsYouRise. It is usually used in the context of women mentors but applies across genders, and suggests we can all lessen the challenges of the next generation, with the hope that mentees meet or exceed a mentor’s success. Do you feel women in your field are exposed to enough career and leadership development resources and to coaching and mentoring? HL: I feel that both female and male surgical trainees would benefit from instruction in professional development. This is something that I actively sought out on my own in medical school through the office of professional development. I have heard from many women that they did not realize the importance of networking until residency and wish it had been stressed to them earlier. If you’re ready to move forward, check out our Step Up Program. The best and most cost effective leadership development program! PF: Leadership training is lacking for both genders in surgery. There are many resources for mentoring through organizations such as the American College of Surgeons, Eastern Association for the Surgery of Trauma, Association for Women surgeons, but locally it depends on the resources and on the emphasis that the administration places in mentoring and career development. In many cases it is a “build your own path” or trial and error approach. This is not wrong, but a planned method could help save time and to capitalize on young talent. AC: I think over time there has been an increase in the interest in career and leadership development and because of this more opportunities and resources are starting to become available to both men and women in surgery. In fact, if you look at the schedule for the Women In Surgery conference in February, a large portion of the program is dedicated to these topics. As far as mentoring, it seems that people are starting to realize the importance and impact that it can have on someone’s career. Now more than ever I feel that trainees are actively seeking out mentors for all the different aspects of their lives and senior folk are willing and expected to be those mentors for them. MB: As a woman surgeon-in-training I feel I’ve previously lacked exposure to opportunities for career and leadership development, and coaching and mentoring. Yet I can’t specify whether this is gender or profession specific, or a mixture of the two. Being a physician is difficult, and even more so a surgeon. The hours are grueling, the stress level is high, and the work, endless. 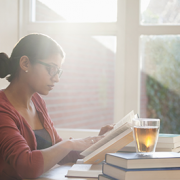 Speaking as a resident, it can be difficult to focus on anything other than making it through your day, interrupted by necessary bodily needs and functions. To focus on a seemingly abstract concept as professional and leadership development, when you have a patient in front of you that demands your attention, frequently seems impossible. Yet through my experiences over the past year and a half of research while away from clinical responsibilities, I’ve come to recognize how critical these areas are for all physicians. In a broader sense, I think the numbers speak for themselves in that leadership roles held by women in medicine and surgery continue to trail those of men. By a lot. This could suggest a gender imbalance in resources and opportunities, or also other life choices. 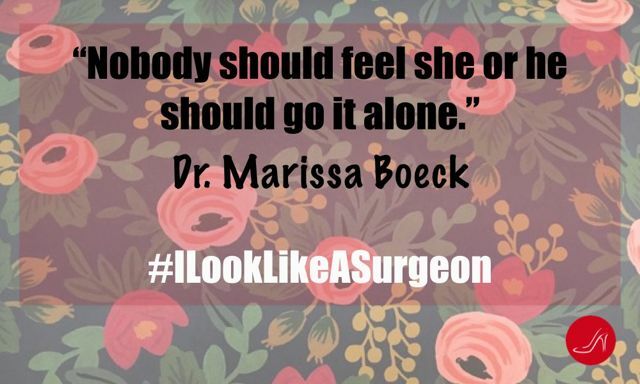 But it is definitely something that warrants attention, which has been one of many topics under discussion in the #ILookLikeASurgeon community. 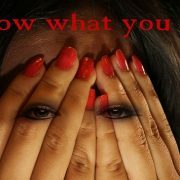 What would you say to women who are in other male dominated fields and having a hard time being heard? Would having women mentors help? HL: I would encourage them to connect with other women in their field. This can be invaluable for validating one’s concerns and finding empowerment to take action. I would also encourage them to read books such as The Confidence Code, Nice Girls Don’t Get the Corner Office, and Ask for it: How Women Can Use the Power of Negotiation to Get what They Really Want. PF: I believe the world is changing and there is positive pressure to avoid gender disparity, and to ensure diversity in every field. But there is still work to be done. Speaking up when necessary and finding our own authentic voice can help. This is the perfect time for change and I think we are on our way! Finding time to spend with the family is a challenge many women surgeons confront daily. 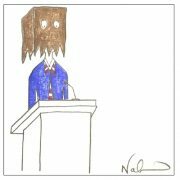 AC: I would say that, often, it is easy for a single voice to be dismissed. I would encourage them to seek out other women in their profession or even in other fields. Being able to talk to others who are undergoing the same or similar experiences can be extremely validating. Creating this kind of support network (including men who are sympathetic to the cause) not only helps through the difficult times but it can also be empowering and the beginning of positive change. A group of voices is less likely to be ignored and can be the catalyst for change. I would also say never give up on doing what you love. MB: Social media and technology are powerful. You are not alone, and there is strength in numbers. There are undoubtedly others, if not within your own work environment, then definitely across the globe or within other professions, who are struggling with similar issues. 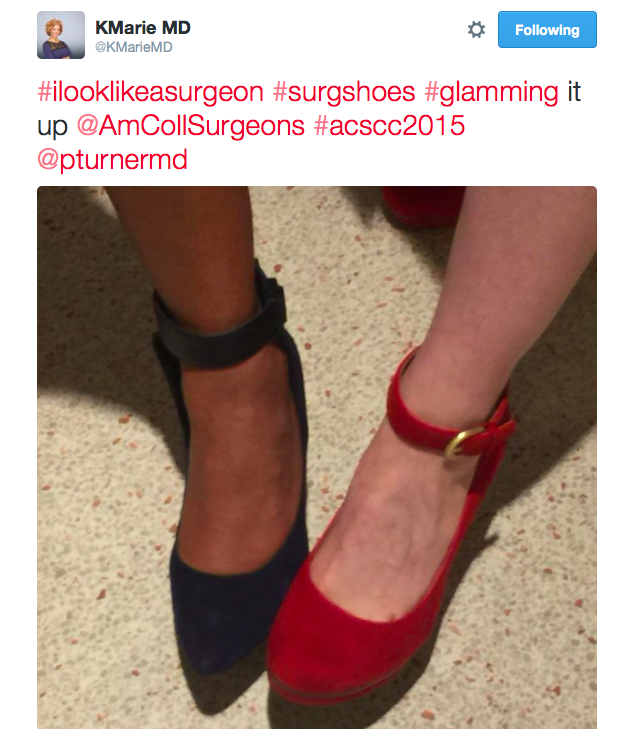 This is how #ILookLikeASurgeon started, based on a young female in an entirely different field sharing her voice. Speak up and form a community. Together, you will be impossible to ignore. As you can imagine these amazing surgeons have a long and accomplished resume. We are only including here some highlights. Please feel free to reach out to them if you’re looking for outstanding women mentors. Paula Ferrada MD, FACS, is an Associate Professor of Surgery at Virginia Commonwealth University, the formally Medical College of Virginia. She also holds the title of Director for the Surgical Critical Care Fellowship and the Director of the Trauma and Surgical Critical Care Units at that institution. She trained in general surgery at the Beth Israel Deaconess Medical Center in Boston. She completed a fellowship in surgical critical care at the University of Pittsburgh and spent an additional year of fellowship training at Shock Trauma Center, University of Maryland as their first Acute Care Surgery Fellow. She is committed to medical education, particularly in the subject of surgeon- performed ultrasound. She is an active member of the American College of Surgeons National Ultrasound Faculty (NUF) and the International Director for Ultrasound Courses Development (USET courses) for the Pan-American Trauma Society. She is also the Chair of the Education and Research Committee for the PTS. These roles have allowed her to become an accomplished teacher in this subject locally, nationally and internationally. She has been a Councilor for the Virginia Chapter of the ACS, and is currently the Secretary-Treasurer of the chapter. In addition, she is the immediate past president of the Association of Women Surgeons, Virginia Chapter. Heather Logghe, MD with extensive experience in the intersection of social media, technology, patient advocacy and medicine. Two years experience as a general surgery resident at a Level I Trauma Center at an academic institution. Served as course coordinator for an innovative online course presented by Stanford University and aimed at fostering an international community for mobile health entrepreneurs around the world. Served as assistant director for a free massively open online course (MOCA), Mobile Health Without Borders, designed to foster an international community for mobile health entrepreneurs. Lectures presented at Stanford and streamed live to global participants. 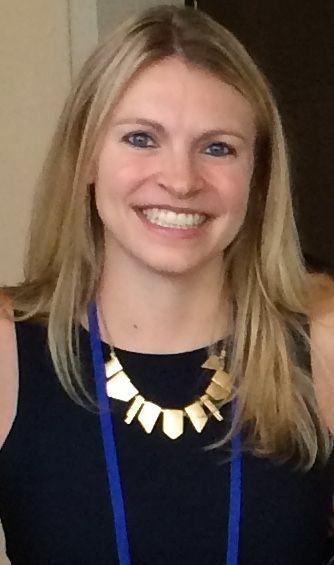 Marissa Boeck, MD, MPH is a general surgery resident at New York Presbyterian Hospital-Columbia, and is in the second of two research years away from clinical responsibilities. The first was spent at the Johns Hopkins Bloomberg School of Public Health in the Master of Public Health program, pursuing studies in health systems, policy, epidemiology, biostatistics, and global health. She is currently living in Santa Cruz, Bolivia working on furthering the development of the city’s trauma and emergency response system, and spearheading the implementation of hospital-based trauma registries. She plans to pursue a trauma and critical care fellowship after completing her general surgical residency, with an ideal career involving a mixture of both domestic and international clinical and research activities. Ainhoa Costas Chavarri, MD, MPH, FACS is a General Surgeon and Hand Surgeon doing full-time global surgery work. She has been living and working in Rwanda for the past three years through the Human Resources for Health Rwanda Program, teaching and training Rwandan surgery residents and medical students at Rwanda Military Hospital. She trained in general surgery at the University of Illinois at Chicago and completed a Hand Surgery fellowship at the Christine M. Kleinert Institute for Hand and Microsurgery in Louisville, Kentucky. She also undertook an additional two years as a Paul Farmer Global Surgery Clinical Fellow, during which time she worked extensively in Haiti and Liberia and obtained a Masters in Public Health degree from the Harvard School of Public Health. Her international experiences have led her to focus her work on education, breast cancer in low resource settings and global oncology. She is currently the secretary for the newly formed Women In Surgery Africa group. On a personal note, she was born in Spain and grew up in Puerto Rico. 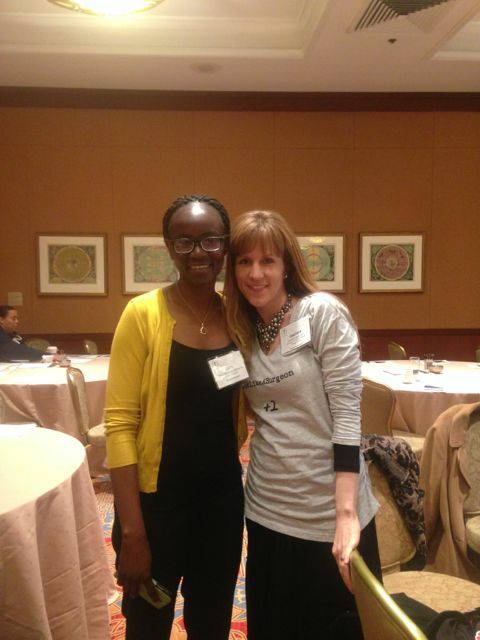 Finding a Mentor to Propel Your Career Forward Cross Cultural Mentoring: Mentoring 2.0!